The Financial Post and Charity Intelligence recognized CWF as one of the top 25 charities in Canada for standards in transparency, accountability and efficiency. 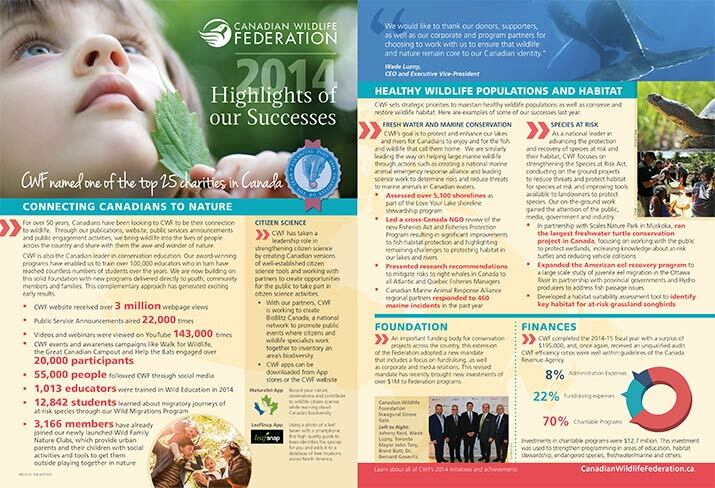 Our programs have achieved big successes. More people, from corporate boardrooms to families across Canada, are joining us to help conserve wildlife and connect with nature. 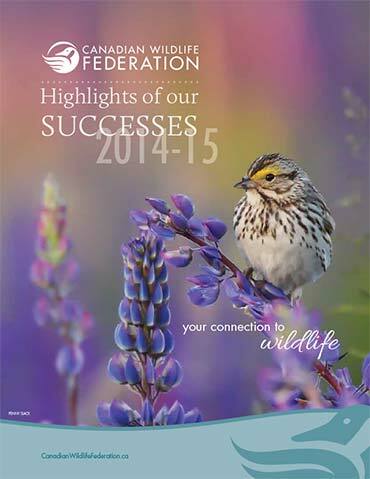 Check out the summary published in the September/October 2015 issue of Canadian Wildlife magazine, "Highlights of Our Successes"
Discover wildlife through these helpful links.